Call them ‘Son of Western Ghats’ or the gentle beasts, elephants has always been an integral part of Kerala’s culture, to the extent that they were made the State Animal. 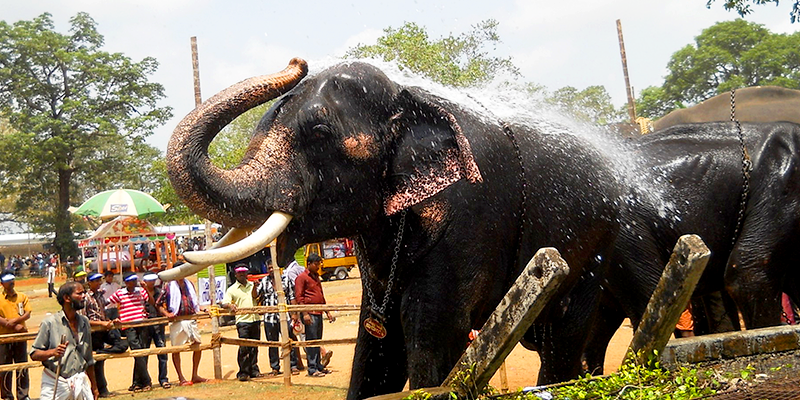 Be it the state-approved statute or the religious importance, any festival in God’s own country is just incomplete without the colourful processions of elephants. • The Guruvayur Devasom, administrators of a temple in Guruvayur began the elephant rejuvenation camp in 1985 as a way to give the elephants a rest and help them regain their health after eleven months of temple duties. 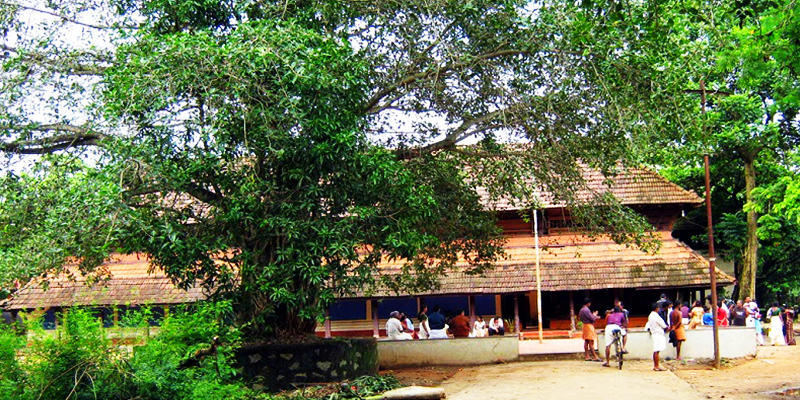 • Since devotees donating elephants to deities is a common practice here, the temple had to create a space where they could look after all of them and hence they converted the Punnathur Kotta Elephant Yard, a former palace, into a sanctuary and renamed it Anakotta, which roughly translates into “Elephant Fort.” Situated about three kilometres away from the temple grounds, Anakotta is a 10-acre compound that houses about 50- 60 elephants. 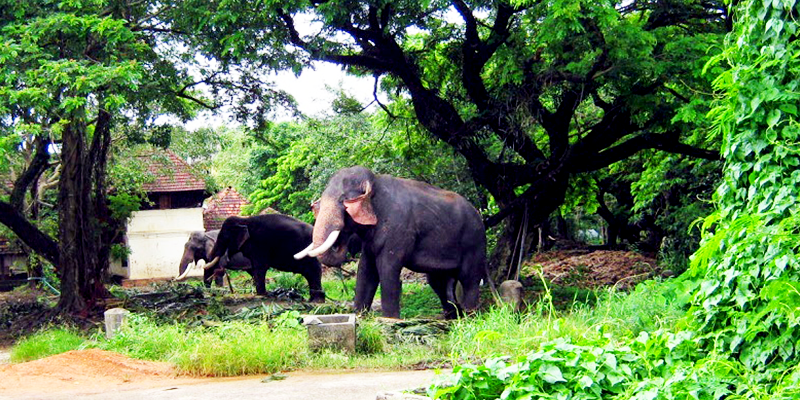 • Every year in the monsoon month of July, these elephants are rejuvenated. They relax in water bodies while their mahouts massage them with the rubs of coconut fibre. • At the Annakotta, the activities are done with utmost care and love. 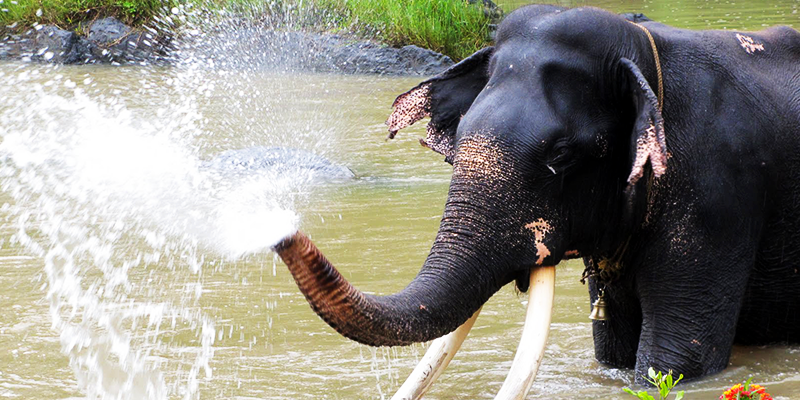 Attached to the sanctuary is the rejuvenation centre that provides elaborate spa treatments for these giants. During this month, the tusked beasts are treated with not just bath and massage therapies but also highly nutritious food that is laced with Ayurvedic restorative medicines. • The therapy, especially the dietary plans, is supervised by veterinary experts to ensure that the treatment is of utmost benefit to the elephants. This is a fully pampering phase for elephants here and they just enjoy every bit of it. Note – Anakotta (Punnathur Kotta Elephant Yard) is about 52 miles (80 kilometres) north of Cochin in the southern state of Kerala.